There are high resolution images included in the files for the latest version of Apple’s iBooks app. 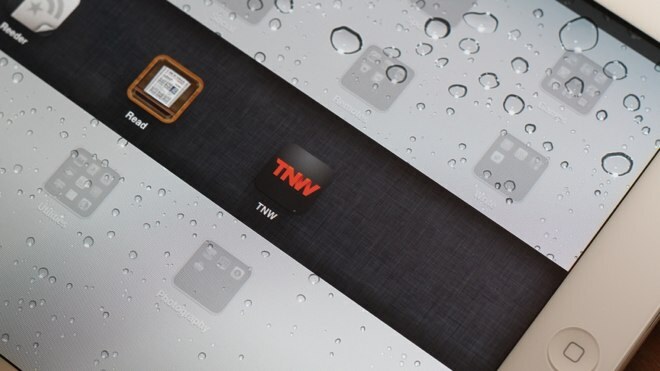 These ‘@2x’ images were discovered to exist in January of 2010, and were taken to indicate that the iPad 2 may be released with a ‘Retina’ display, as introduced in the iPhone 4. Well, it turns out that the inclusion of those files back in 2010 was a mistake. A source with knowledge of the matter has informed The Next Web that someone working primarily on iPhone-related projects (and who was therefore used to working with the Retina-ready @2x graphics) accidentally included the higher resolution images in the iBooks package that January. Then the discovery was made by developers poking around in the packages that the graphics were included, but by that time there was nothing Apple could do about it. These images would display correctly on a screen 2048×1536 pixels in dimension (double the res of the iPad 2’s screen) at a PPI of 260. That is lower than the iPhone 4/4S display, which clocks in at just over 300 PPI, but should still qualify as a Retina display due to the viewing distance to the iPad being greater. Whether it is a matter of including it because the ‘cat is out of the bag’ and there is no point in hiding it isn’t clear. But what is clear is that there is no reason to continue including those graphics this time around if a higher resolution display wasn’t imminent on the iPad. h/t to Sonny Dickson for the image.